Trying to lose weight can be frustrating. I know firsthand how hard it can be. That terrible feeling when you fail at yet another diet. Watching your weight yo- yo over and over again. One of the best things you can do to help with your journey is to learn Mindful eating. This ancient practice has its roots in Eastern philosophy and meditation. I found it to be the key to my weight loss success and I know it will help you too. 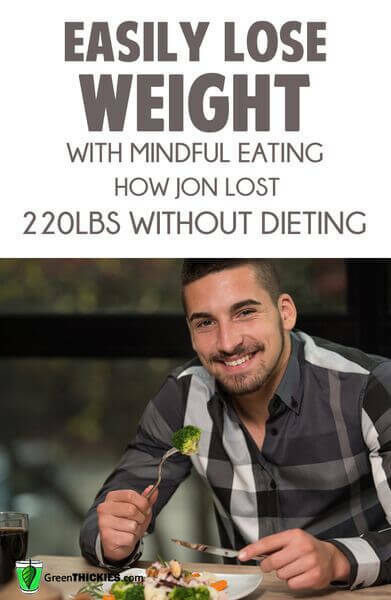 Jon from the Gabriel method managed to lose 220 pounds by focusing on mindful eating! He has such an incredible story where he puts these principals into action to finally get the fit, healthy body he had wanted all his life. Now he helps other people to achieve what he achieved. Learn more about Jon’s story here. Imagine how happy you will be to finally reach your optimal weight and stay there!! Mindful eating is the practice of paying attention to all aspects of your diet and how it affects your body and your emotions. It’s also eating and planning your food choices with intention. Intention in providing your body with nourishing wholesome foods that are healthy and satisfying. It helps to sit down and focus on the meal instead of trying to eat while doing other tasks or while watching T.V. Does the meal include nutrient dense ingredients such as fruits and vegetables? Does the meal include healthy Fiber, Fat, and Protein? Does the meal or ingredients have a lot of artificial or chemical additives? If so can you make something that is made from whole foods rather than processed foods? Did you choose the meal with love and caring for yourself and the planet? Be patient with yourself. Any change can be scary at first. Mindful eating can reveal some things about ourselves that we don’t like to hear. Remember to take time to care for your well -being with healthy exercise. Yoga and meditation are great additions to a mindful eating program because they help you to learn to tune into your body and emotions. What is Mindful eating for weight loss? Mindful eating can help with weight loss. Once you start paying attention to how you feel when you eat, you will notice that good whole food feels much better physically and emotionally than artificial or processed foods. You will also notice if you are overeating or eating for reasons other than hunger. This is key to stopping the cycle and learning new habits. We often eat without thinking while on the move or working or watching T.V. This can lead to mindless eating and overconsumption of unhealthy food. Once you become mindful of everything you eat you will most likely eat less and eat foods that are better for you and this leads to weight loss. Your body craves nutrients. If you feed it food lacking in nutrients you will crave food all day because your body is in desperate need of important vitamins and minerals. When you eat with nutrition as well as taste in mind you will find that your hunger and cravings will go down because you are feeding your body what it needs. Get a raisin or a nut or some other small food item. You can use any food that you like. Eating with mindfulness is not about deprivation or rules. Begin by exploring this little piece of food. Notice the color, texture and smell of the food. Try closing your eyes and exploring the item. What does it feel like? Write down how you feel about the food item in a food journal. Next, eat the food in two small bites. Take your first bite. Chew very slowly, noticing the actual sensory experience of chewing and tasting. How does the food feel in your mouth? Slowly finish your first bite of food. Notice everything about how it tastes and feels. Chew slowly just as you did with the first bite. Remain present and again take note of everything about the food while you eat it. The purpose of this exercise is not to make you eat slower as this is not always necessary with mindful eating but to help you begin to learn to pay attention and cultivate intention with your food choices. I don’t know about you, but for me personally I am at the point where I know exactly what I should be eating (green thickies) and how much (1 for breakfast, 1 for lunch and 1 healthy dinner) but that didn’t stop me from going through periods where I would just binge in the evenings and at weekends despite having a very healthy week of eating. That always kept me slightly overweight and I was getting so frustrated with myself that I couldn’t find the willpower to get down to a healthy weight again. I finally realised the problem wasn’t my food, it was my own mindset and that sent me on a journey to learn how to change my mindset. 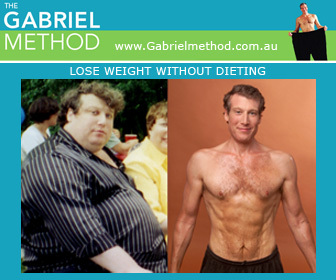 That’s when I discovered The Gabriel Method. I lost all of my excess weight and finally felt in control of my eating again. 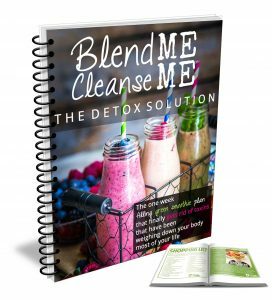 I loved it so much I share it with everyone I know and I love hearing that they too have finally overcome their challenges when it comes to overeating and have been finally able to lose weight. If you know that your mindset is causing your problems with overeating and choosing the wrong foods, you are going to love this as much as I do. You can also do this amazing 21 Day Meditation For Weight Loss Challenge which will completely transform you in just 21 days. Click the image below to find out more. 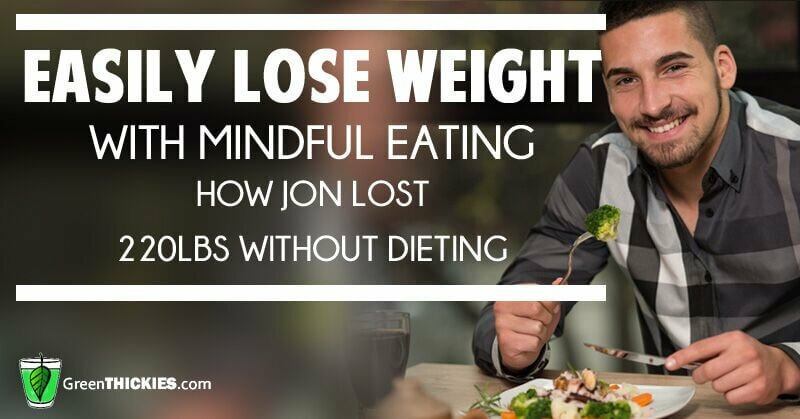 Please let me know in the comments below if this article inspires you to try mindful eating or if mindful eating has helped you lose weight. Pin this by clicking here.